You might have noticed things have gotten mysteriously quiet around here lately. I promise I haven’t forgotten about you all, nor have I given up on blogging (far from it!) but things have gotten suddenly and intensely busy around here at Chateau Frugality. A few weeks ago, my parents visited us in Oregon. They flew from Minnesota, we did all sorts of fun things, like go to the coast so they could experience their first time at an Oregon beach, went to dinner to celebrate Mr. Frugality’s birthday, etc. We got on the topic of moving, and I’ll save the details for a later post, but long story short, we decided to meet with a realtor to see what we were up against. Turns out our house has appreciated a lot more than we anticipated in the last 2 years. We spent a couple days talking about it, and decided the time was right to sell! Three weeks later and the “for sale” sign goes up next weekend!! We are a mutant mix of excited, scared, nervous, relieved and exhausted all at once. Do you see my closet? It’s not very big, and there’s some prime real estate being taken up by THIS. OK FINE I ADMIT IT I GOT ATTACHED. 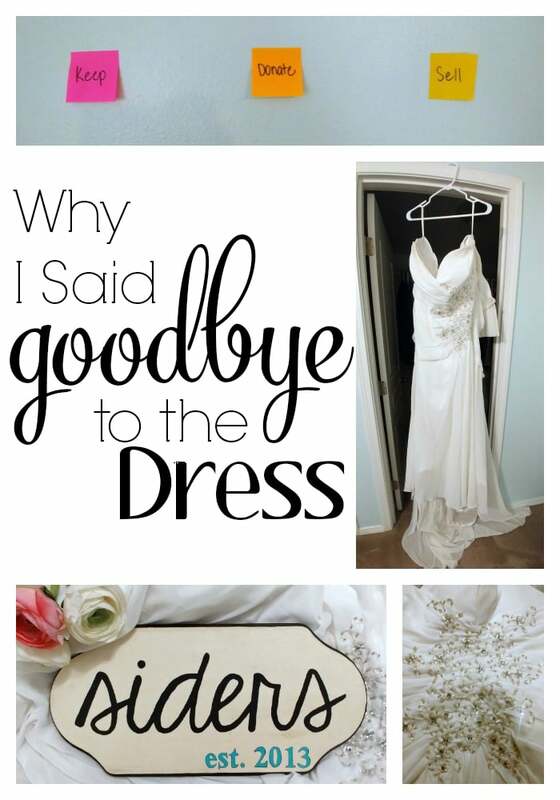 I know I said I would never be sentimental about my wedding dress, but it happened. I decided a couple months ago that I was being silly, and was going to sell it on Craigslist. But only after I tried it on one last time…. I spent an hour walking around the house IN THE GOWN bawling my eyes out. I walked into the room in a wedding gown and puffy, tear-stained cheeks and my husband burst out laughing and asked if I was ok. I could not bear to part with it. Now, I’ve slept on this decision. I decided that it is finally time. And the deciding factor for me? I realized how much this gown means to me…which means it will mean even more to some sweet bride-to-be who needs it. So in the spirit of helping others (AND clearing out my closet) I decided to sell my beloved dress. I decided to list the dress on PreOwnedWeddingDresses.com. This way, I can make another bride’s dream come true. It’s a win-win for me-I get my closet space back and I get to make someone happy! I know a lot of brides in the past have had their dress preserved and it lives in their closet or a storage unit (my mom is one of them, she’s had hers for 30 years!) but for me (and a lot of modern brides) it just isn’t practical to keep a dress you’ll never wear again. 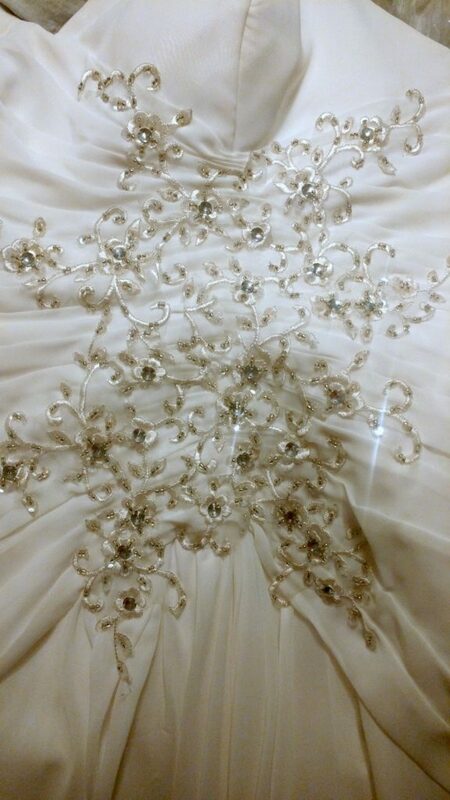 Accurate, detailed descriptions get your dress sold faster. Explain the designer, style and material thoroughly. Have a reasonable asking price. 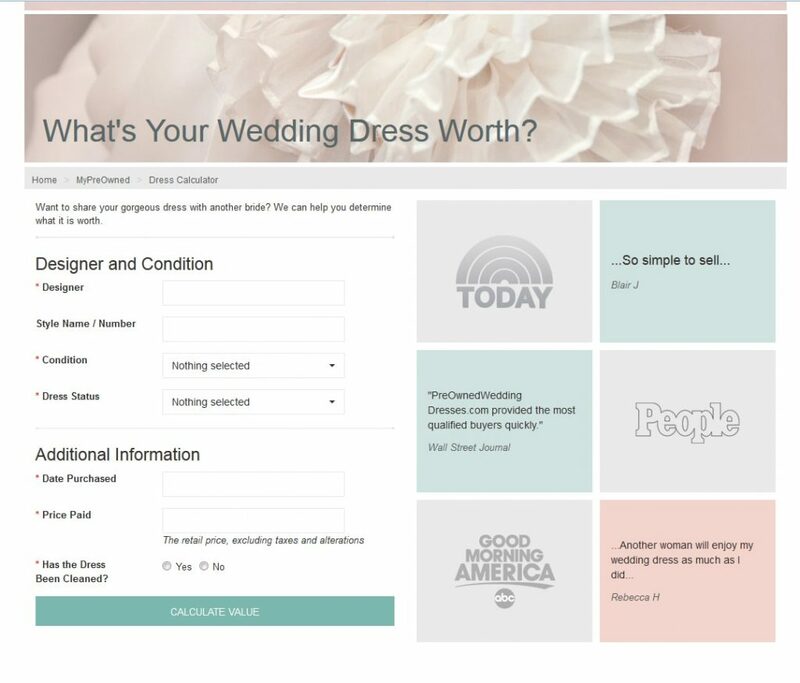 Check out their Wedding Dress Calculator for assistance with setting a price! They sell dresses in all sizes and price points so if you’re a budget-savvy bride that is searching for the perfect dress, you’re absolutely going to want to check them out. They have some AMAZING designer wedding gowns that are far more affordable than the boutiques! PreOwnedWeddingDresses.com currently have over 23,000 wedding dresses from size 0 to size 30. From $100 to over $10,000. and representing more than 300 different designers. They’ve even been featured on Good Morning America, in People Magazine and The Wall Street Journal! Does it have all of it’s parts/pieces? Is there occasion in the next 6 months where you can wear it? If you have more “No” than “Yes” then its time to part with the item. I like the last one most, because its specific. Far too often I have asked myself “will I wear it again someday” and of course my thought is “Sure! Maybe someday I will” but with a specific timeline it allows me to be more realistic. 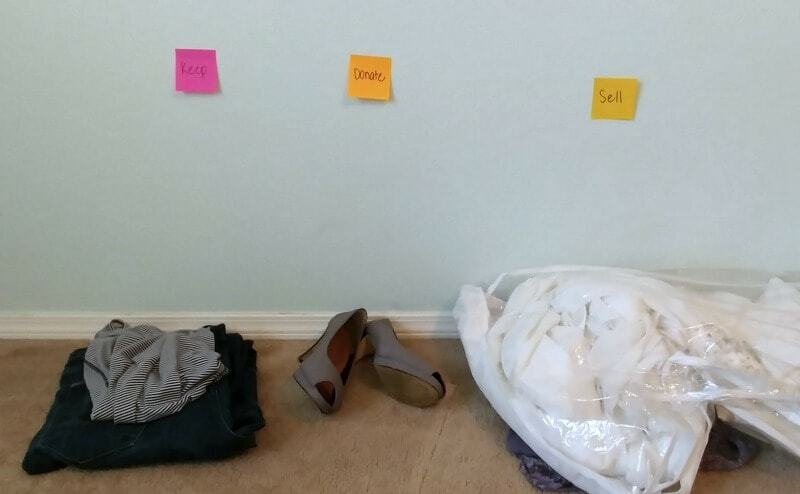 Sort items into “keep”, “donate” and “sell” piles. If your “sell” pile includes a wedding gown, slide it on one more time. Have a glass of champagne wearing it, look at your wedding photos, then get it listed for sale. You might be surprised how much you can sell it for (and what frugal lady wouldn’t love to make a little money with the holidays coming up?). So off she goes to her new owner! I hope it brings her as much happiness and love as it brought me. I hope that when she’s enjoyed it, she will cherish the memories, and pass the dress along to the next lucky bride. 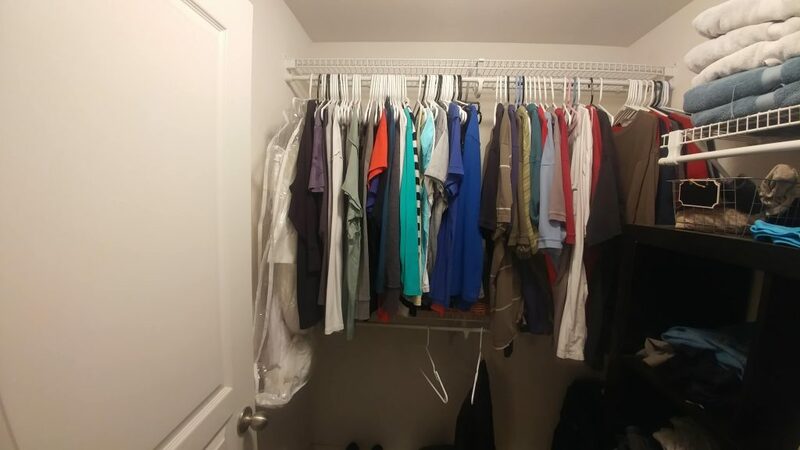 Now if you’ll excuse me, I will be brushing away those wistful tears, and using the money I will be getting for the dress to treat Mr. Frugality and I to a nice date night out to celebrate the next step in OUR lives…and our “gownless” closet. 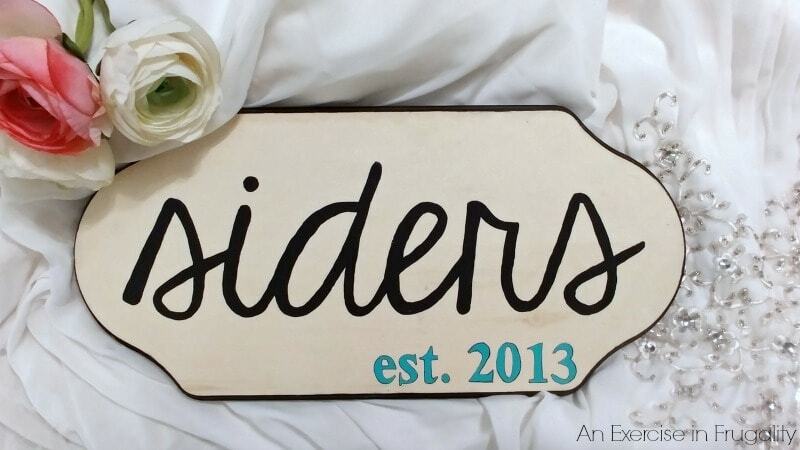 Oh, and about our move/house selling…that’s a whole other post for a whole other day. Watch for more details in a future post! Would you consider selling your wedding gown?